For beginners like me, it was a gastronomic revelation to be introduced to this grand and unique cuisine. Having been a Mumbaikar, I have always relished Maharashtrian, Kannadiga, Tam-Brahm, Gujarati and North Indian foods of our country. However, as I figured out, Odisha, the land of Lord Jagannath, rich in its culture and traditions, has an abundant variety of food items to offer to us lesser mortals. Odia cuisine typically uses less oil and spices as compared to the other regional cuisines of India. The subtle use of spices like pancha phutana and the gentle, less greasy cooking methods employed, allow the flavours of the main ingredients to float through. In the days of yore, it is said that Odia cooks were in great demand all over East India as they would cook as per the Hindu scriptures and as per the required norms of purity. Many such cooks were employed in Bengal in the 19th century who took with them many Odia dishes beyond the borders of Odisha and eventually popularised it all over India. One such famous export is Rasogolla whom we inadvertently consider it to be of Bengali origin. 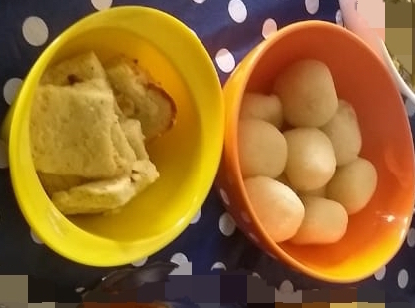 :) However, rasogolla was invented in Puri to be served as a bhog at the Mahalaxmi temple, as is the 700-year old temple tradition. Thanks to the influence of the bordering states, a wide healthy variation is observed within the Odia cuisine itself. Use of mustard oil, mustard paste, badi, coconut, yoghurt, jaggery, dry mango and pancha phutana (rai, jeera, methi, saunf and kaala jeera) is seen which typically coincides with the flavours of Bengal while the use of tamarind, curry leaves, hot chillies and the fondness of vadas (locally called baras) emanate from the neighbouring Andhra Pradesh. To add to this variety, the Lord Jagannatha temple at Puri, greatly influences its cuisine in and around the Puri and Cuttack region. The mahabhog served at the temple, especially the chappan bhog (56 dishes offered to Lord Jagannatha) which abstains from the use of onion and garlic, is simply mind blowing and one definitely has to taste the bhog at least once in his or her lifetime! My friend also revealed that being a coastal state, fish is another protein staple in a lot of preparations. As the name suggests, this chaat is a combination of fermented udad dal bara (vada) soaked in salted, watery curd and a spicy potato curry (alu dum). This is topped with guguni, a green peas (usually with white peas) curry, sev and an assortment of sweet, sour and spicy chutneys. After whetting my appetite with the starter, I just couldn't wait to move on to the main course. She had a prepared a variety of vegetables and dal to be eaten along with rice and rotis. Rice is a staple in Odisha and vegetables such as potato, yam, bitter gourds, pumpkin, brinjal, ridge gourd, drumsticks, banana flower and stem are quite common. Our ancient Indian wisdom recommends starting off our meal with bitter foods. The bitterness stimulates digestive juices and apparently aids in digestion...and here I started off with Kalara patua. This dish is made by steaming the bitter guard inside a pumpkin leaf or colocassia leaf, which imparts its own delicate flavour to this dish. Spices such as mustard paste, turmeric, onions and chillies are mixed together with the minced vegetable and then stuffed inside the leaves. 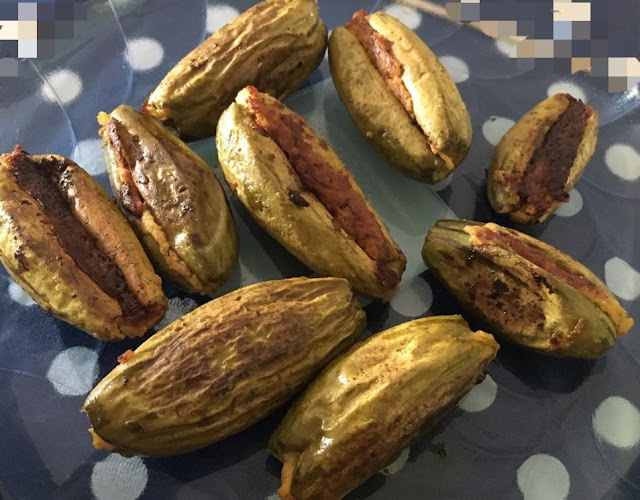 This preparation is traditionally cooked inside a burning chulha where I suppose, the leaf gets charred from outside and lends a nice smoky flavour to the karela. (Odia folks, please correct me if I am wrong :)). Small fishes and mushrooms are the favourites for this particular type of cooking method. 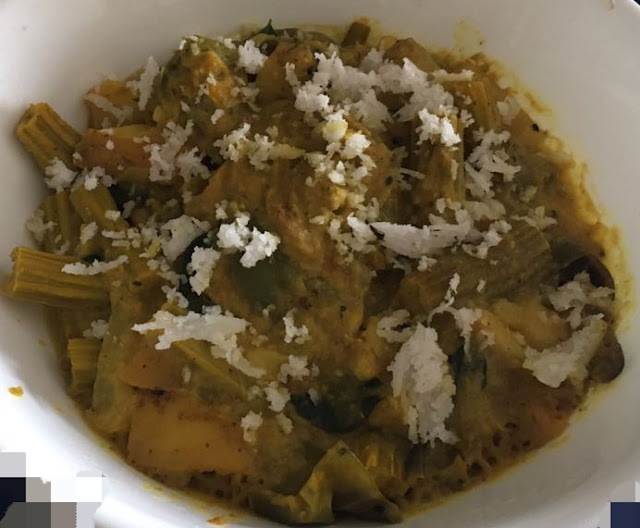 Potala (Parval or pointed gourd) is a summer vegetable which can be cooked in a variety of ways. 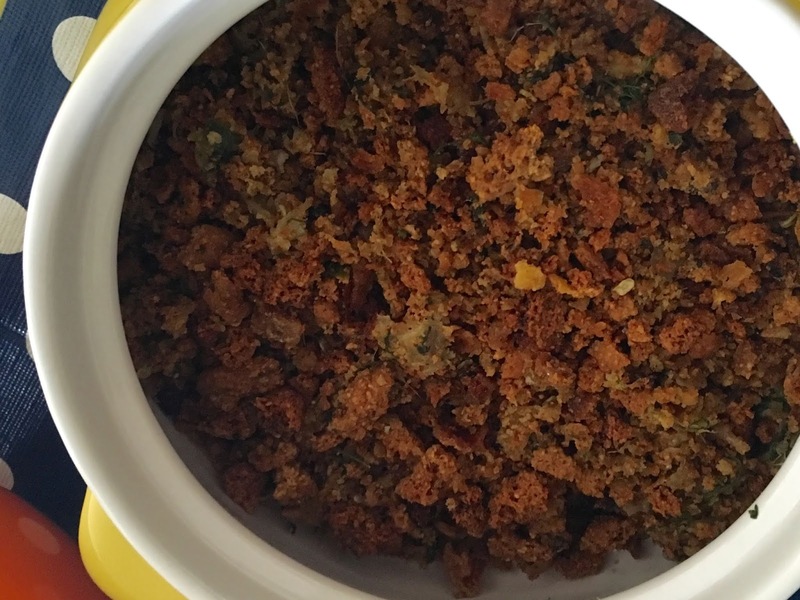 This recipe calls for a stuffing with mustard paste and potato and then it is shallow fried. Bitter gourds are also cooked in a similar way. Another flavourful dish made from parval is the Alu potala rassa. 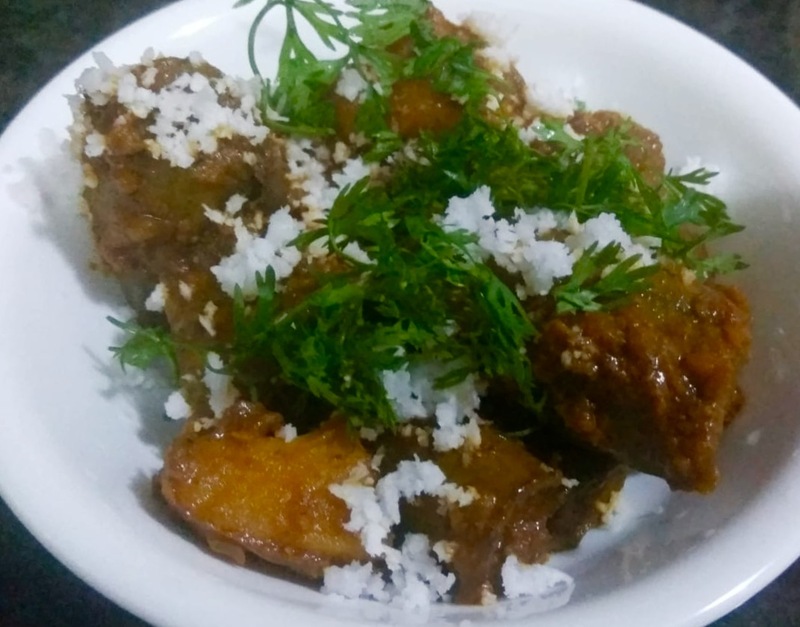 It is a must-required dish in all Odia feasts and consists of potatoes and pointed gourds in a spicy rassa (curry) made by grinding the whole garam masalas with ginger, garlic, coconut and cumin. 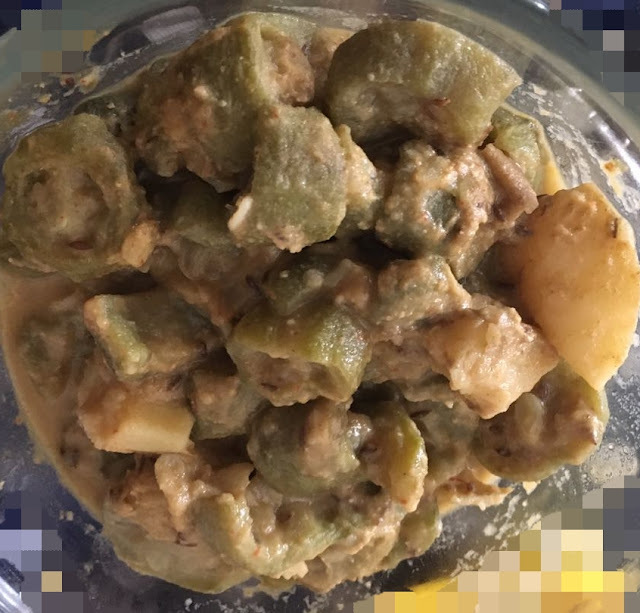 Ridge gourd (Janhi) and potato are cooked with poppy seed paste (posta) in this particular dish and as per the traditional cooking style, turmeric is not to be used along with posta. 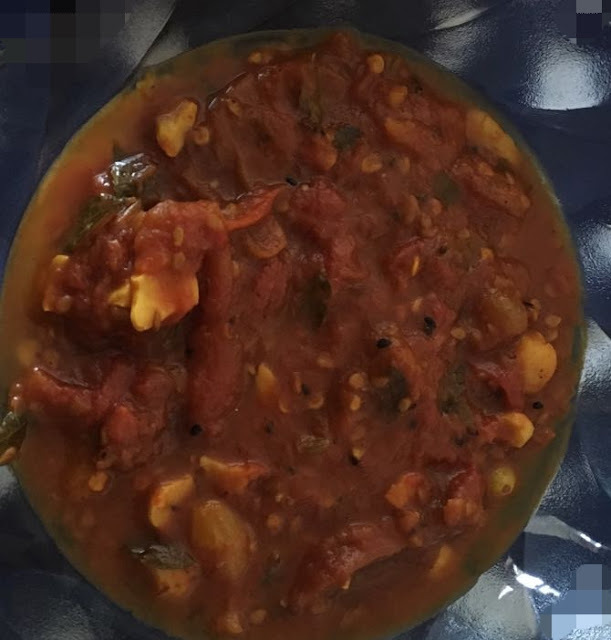 This is a sweet and sour tomato chutney where the sweetness of the dates and raisins balances the sourness of the tomatoes; and nuts like cashews lend the scrumptious crunch. The masala of Besara is usually a blend of mustard seeds with garlic and other spices such as garam masalas, jeera or saunf. This particular preparation of masalas is widely used for a variety of vegetables. 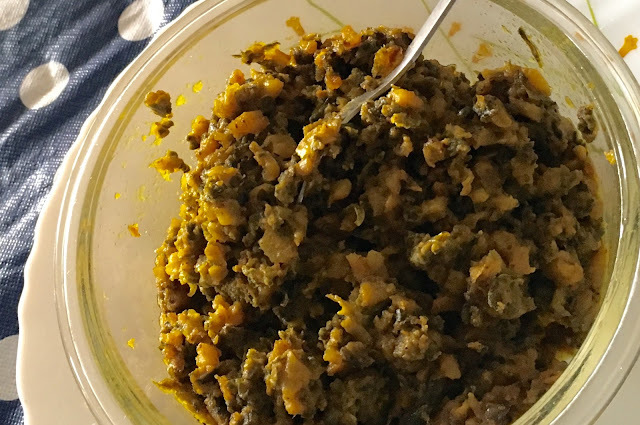 Dry mango (ambula) is usually used to add tanginess, and a plethora of vegetables (as you see in the pic like drumsticks, radish, brinjal, pumpkins, eggplant, raw papaya, etc) are used to give a nice melange to this dish. 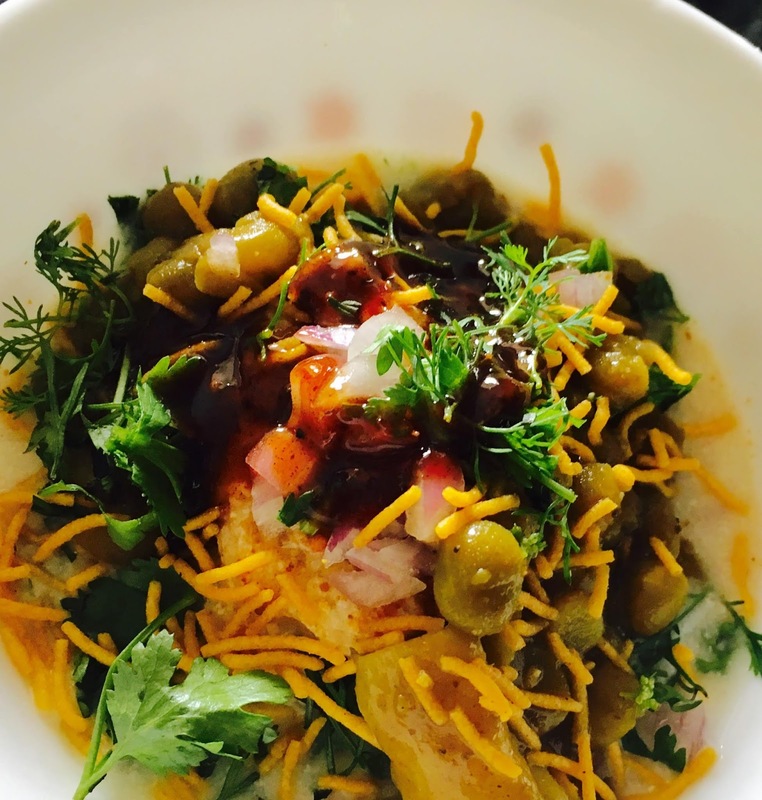 The Dahi Baingan is another gem from Odisha's rich repertoire of culinary heritage. 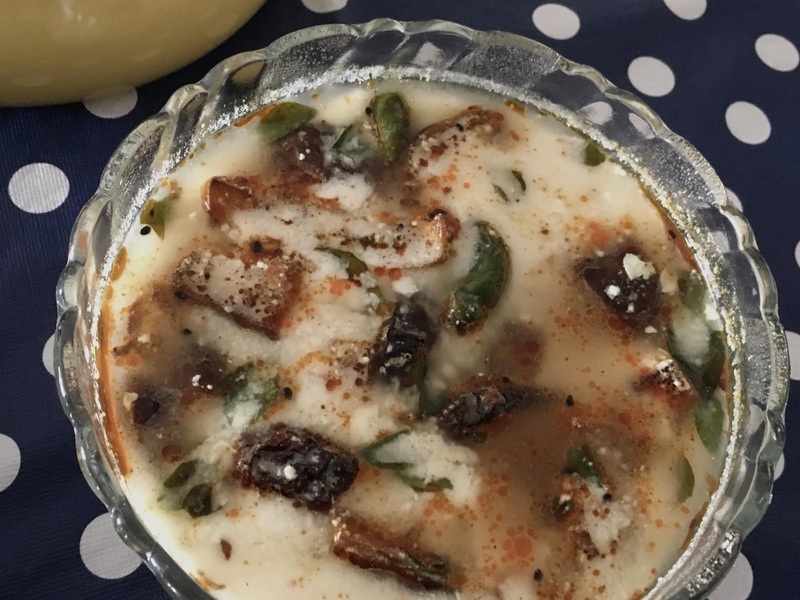 In this recipe, the slices of brinjal are first fried, and then cooked in a curd based gravy with minimal spices and a little jaggery to balance the tartness of the curds. Here too, the pancha phutana is required to give that special, typical flavour to the dish. Bhindi too can replace baingan in this wonderful dish. Badi is a lentil cake made by sun drying a paste of black gram and spices. These cakes are fried and ground to a choora (powder) with peanut, onion, garlic, green chilly, a bit of mustard oil and salt. 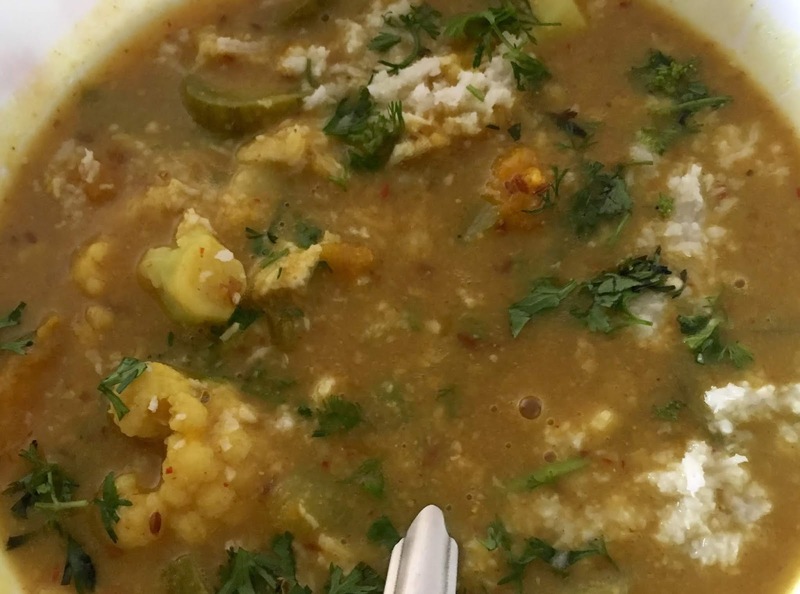 Usually badi choora is eaten with pakhala ( a fermented and popular rice dish of Odisha, which is prepared by soaking the leftover rice in water overnight, to be eaten with curd and salt the next day). Saaga (green leaves) curry is also an essential part of the traditional vegetarian Odia meal (was not a part of our meal here though). Kosala and leutia are the typical saaga found in Odia cuisine and it is prepared by simply seasoning the greens with jeera, chillies, badi, garlic and stir frying it. How could we end an Odia meal without chenna poda, the most famous sweet dish of that state! ...and we were gluttonously lucky to have not just one but two desserts - chenna poda and rasogolla. Chenna means curdled milk cheese and podo means burnt. Yes, chenna poda stands for burnt cheese. This sweet is prepared by steaming the chenna in lotus leaves and caramelizing it by sprinkling jaggery or sugar on top. This dessert can also be baked or steamed in a pressure cooker. The addition of cardamom and nuts to this paneer cake, takes this dish to the next level. 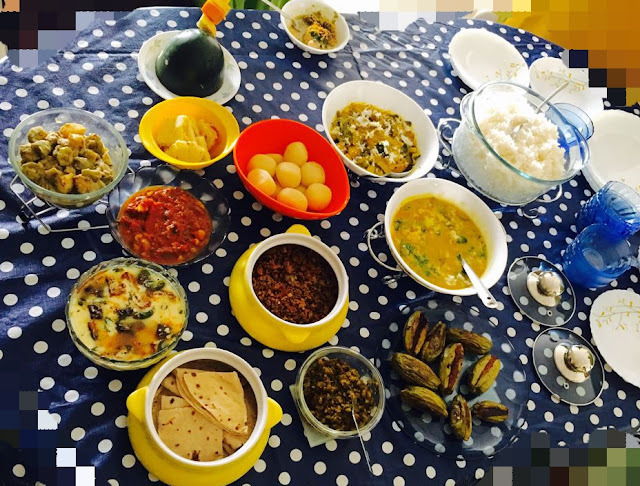 As you all pictorially witnessed, our feast was fantastic and my pictures (without any visible wafting aromas and with my latent photography skills😇 ) do not do justice to this wonderful spread. However, this is my sincere attempt to bring across to you all one of India's less recognized, yet one of its most delectable cuisines - a cuisine replete with robust, rustic and traditional flavours!